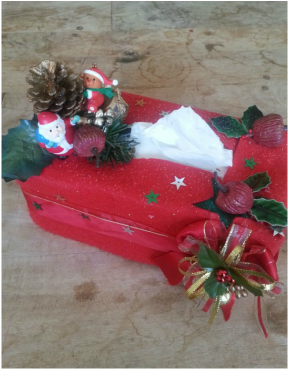 In this workshop, participants will be shown how to make Christmas-themed tissue boxes which can be part of Christmas decorations at home. The concept upheld in a sitting meditation practice can be incorporated into the crafting process where you are fully aware of all the steps and enjoy every moment of the creation. 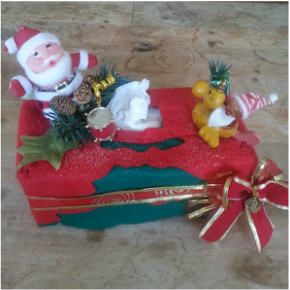 This workshop encourages the use of recycled materials such as tissues boxes, Christmas-themed figurines, buttons and ribbons.